Friday’s draw of the sectional stage of the 2018/19 Betfred Cup placed Motherwell with Queen of the South, Clyde, Edinburgh City and Stranraer. Dates for the fixtures will emerge in due course when BT Sport decides on its schedule. The group stage matches will include the innovation of an extra point for the team that wins any penalty shoot-out. 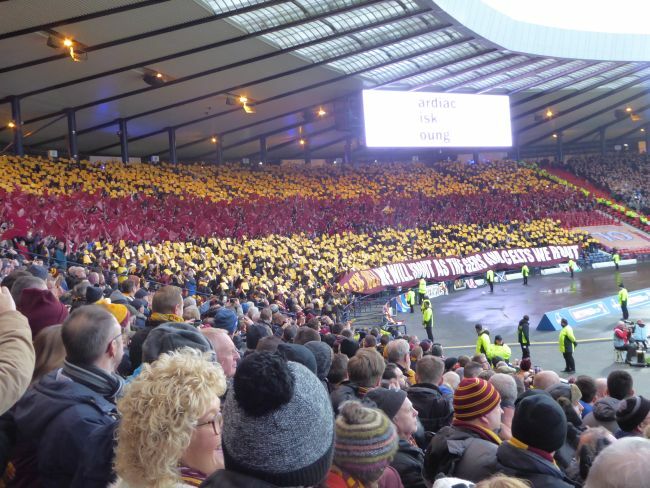 Can we get back to Hampden next season? Edinburgh City and Stranraer figured in recent ties in this competition. ‘City almost caused a shock a year ago when we needed late goals from Cadden and Frear to avoid embarrassment and in July 2016 we travelled south for a comfortable 3-0 win against the Doonhamers. Last season we cruised through to the final after the opening four group wins. Ross County, Aberdeen and Rangers fell next before we lost to Celtic in November’s final.